At this time of year, we often hear ‘noise’ that vouchers and gift cards are the preferred way to recognise employees. However, they are not your only option. Tangible (real!) gifts can offer great value, choice and flexibility. 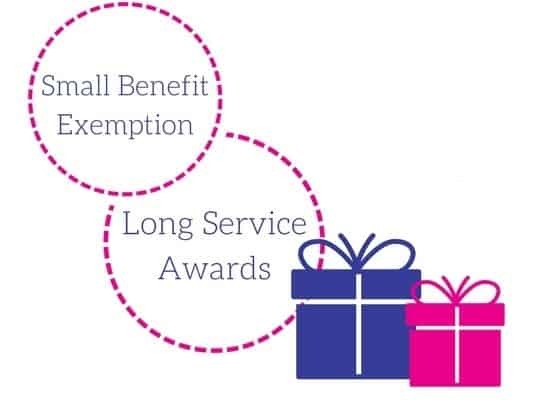 Real gifts are also tax-efficient, not only with the Small Benefit Exemption scheme but also with the Long Service Awards Allowance. Revenue allows one, non-cash benefit per employee, per year, up to the value of €500. PAYE, PRSI or USC do not need to be applied to the benefit. Tangible gifts are eligible for the Small Benefit Exemption. Employees can select multiple gifts, all at once, on a points-based rewards programme. The value of the points should not exceed €500. Long Service Awards are tax-free ONLY when the awards take the form of tangible gifts. PAYE, PRSI or USC do not need to be applied to the benefit. The allowance is €50 for each year of service, starting at 20 years and every 5 years thereafter. This represents up to 57% savings over long service awards made in the form of cash or vouchers. For example, an employee can be awarded a tax-free gift up to the value of €1000 in recognition of 20 years of service. By giving a real gift, you can save up to €1,307, based on the employee’s tax rate. This significant LSA allowance is only available with real gifts! But remember, the value of the gift(s) should not exceed the Long Service Award allowance. There are multiple advantages to giving real gifts to employees, regardless of your budget. Whether it be €50 or €500, employees look forward to receiving gifts that they have chosen. Gifts continue to remind employees of your gesture. Real gifts are also tax-efficient, not only with the Small Benefit Exemption but also with the Long Service Awards Allowance. Contact us to discover more about the wonderful world of tax-efficient gift giving!